Bitcoin has unsettled the financial world since the mysterious Satoshi Nakamoto introduced it in 2008. The cryptocurrency is continuing to disrupt the financial markets—just like Netflix changed the movie industry and Uber transformed the transport sector. This article will give a simple overview about how the Bitcoin technology works under the hood. Simply, bitcoin is an electronic currency; you do not need to mint coins or print bills before using it. This digital currency is decentralized—it does not have a central authority controlling its operations. Traditionally, bitcoin owners are anonymous. Rather than utilizing tax IDs or names, buyers and senders interact using encryption keys. Furthermore, in contrast to fiat currencies that are issued from top to down, this digital currency is “mined” using sophisticated computers connected to the Internet. Typically, bitcoin is mined through solving a series of complicated mathematical problems. The bitcoin’s protocol has a limit of only 21 million digital coins that can be mined. As of April 2018, about 17 million bitcoins had been mined—leaving about 4 million still stuck on the network. Bitcoin is powered by an innovative distributed ledger technology referred to as blockchain. A blockchain comprises of an increasing list of records, called blocks, which are connected to each other using cryptography. Every block in the chain consists of a cryptographic hash of the preceding block, a timestamp, and transactional data. The iterative process where every block has the hash of the preceding block affirms the integrity of the blockchain. As such, if any block is tampered with, it will result in wrong cryptographic hashes pointing to the blocks, rendering the entire blockchain invalid. At its core, bitcoin refers to a digital file that has records of transactions—just like a traditional ledger. Each computer in the bitcoin network keeps the latest copy of this file (which has the entire history of the previous transactions). To complete a transaction, you simply broadcast to the network that the quantity of bitcoins in your account should reduce and that of the recipient should increase. Nodes, or the computers connected to the bitcoin network, record that transaction in their copy of the ledger, and then send the details of the transaction to other computers. This, together with solving some mathematical problems for security purposes, is typically all about bitcoin’s network operations—a digital infrastructure that allows computers to maintain a ledger. Whereas how the ledger is maintained could have some similarities with the traditional banking system, the concept that the ledger is decentralized across a group of computers, instead of a single authority, exposes some significant differences. For example, unlike operating a bank account where your details are secret, in the bitcoin world, everyone knows about each other’s transactions. Furthermore, whereas you trust that your bank can keep your funds safe, the bitcoin network does not guarantee this safety—you’re sending and receiving money from anonymous people, so trust is low-rated. Nonetheless, the crypto’s network is suitably designed such that trust is a non-issue—unique mathematical functions guarantee its security. Basically, for someone to send money in the bitcoin network, they simply need to broadcast a message with the details of the transactions. Consequently, each node that receives the message will update their copy of the ledger and transmit the information to other nodes. However, how do the nodes ensure the authenticity of the request? How does the bitcoin network ensure that the message is from the rightful owner of the digital currency? To solve this problem, it employs what is called digital signature. It is composed of a long string of tamper-proof letters and numbers that are generated for every bitcoin transaction. Every digital signature is used only once, and it is broadcasted across the whole network. A digital signature utilizes two different (but connected) keys to authentic the bitcoin transactions: a private key and a public key. The former is used to create a signature while the latter allows others to do the verification. Essentially, a private key works as the true password and the signature as an intermediary that ascertains that you possess the password without having to disclose it. A public key is the address that you can use to send bitcoins to someone. Before completing a transaction, you must substantiate that you are the true owner of the public key that received the bitcoins. And, you can do that by creating a digital signature using two inputs: your private key and the transaction message. Consequently, other nodes in the bitcoin network can employ that digital signature in another function to confirm that it matches your public key. The complex mathematical computation prevents reverse-engineering your private key from the information available publicly. 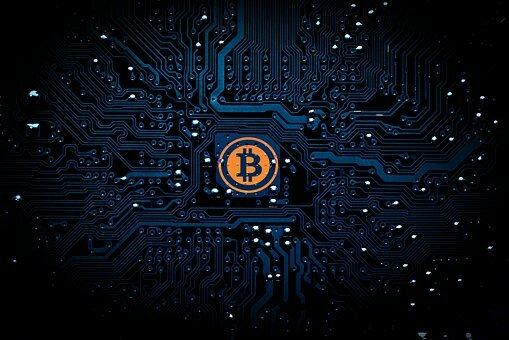 Bitcoin mining is an essential aspect of the digital currency’s framework. It is important in processing transactions, generating new bitcoins, and sending the verified transactions to the decentralized network. The mining of the popular cryptocurrency requires solving complex mathematical problems. Before bitcoin transactions are accepted into the distributed ledger system, miners must carry out hashing (trying to solve the equations) from a string of numbers and letters. This way, the authenticity of the transactions is ensured. Using hashing to solve the mathematical functions requires an extensive amount of resources and processing time. Therefore, if successful, the miners are rewarded with some bitcoins. And, the outcome of solving a problem is referred to as proof-of-work. The introduction of bitcoin and other cryptocurrencies has greatly disrupted the financial markets. However, for many, the concept of the futuristic digital currencies is still strange and out-of-this-world. How bitcoin and its underlying blockchain technology works can be difficult to grasp. Therefore, you can grab a tutorial to assist you understand the intricacies of this great technological innovation. What do you think about how bitcoin actually works under the hood? iOS vs. Android App Development: Which is the Best Choice for You?